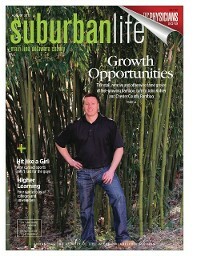 At Chester County Bamboo, we are focused on educating people about the benefits of bamboo, while promoting the use of nature's most sustainable plant. Our Belief is that bamboo is an integral piece of the sustainable puzzle, that we are in the process of solving. We have built our business around three key principles: Sustainability, Responsibility and Accountability. After graduating Villanova, I went into the insurance industry, to sell employee benefits. During the next 8+ years, I was fortunate enough to work with and learn from some of the best in the business. As times changed and one merger became another, I realized that I needed something more. The money was great but my heart wasn't in it. Around that time I purchased a new home and needed a tall, deer resistant, privacy hedge to cover about 100' on either side of my property. I researched and priced all the typical evergreen options. The problem was not only the deer resistance, it was the fact that I needed something that was 15' tall and there was no way I could afford leyland cypress or similar evergreens that big. ...Then I saw a mature green thuja hedge that had a tree fall directly across it. The entire hedge was trashed and the cost to replace it with trees of similar size would be insane. The decision was made, I was planting bamboo. Initially, I planted 10'-15' P. aureosulcata on one side and 10'-15' P. bissetii on the other side. The plants were installed in April and by June...when the new growth emerged..I was enamored. 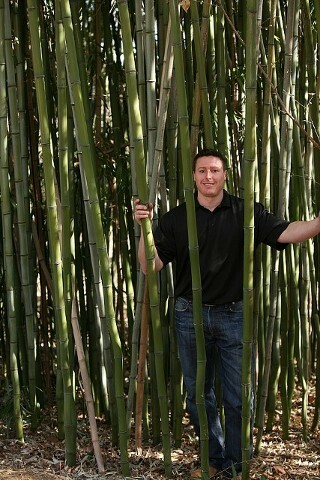 I began researching all the benefits of bamboo and the things that can be produced from it. I founded CC Bamboo in 2009. Starting a niche business at that time was a daunting task, but I was ready to test myself! It hasn't been easy, but then again, nothing worthwhile is ever easy! Thankfully, I am fortunate to have the support of an amazing family and brutally honest friends. As we continue to grow we are proud to continue expanding our products and services. It is our pleasure to now offer a full line of bamboo clothing, poles & fencing. With our recent equipment investments, we now offer complete landscape design, build services. It is our intention to have as little impact on the environment as we can. We use hand tools whenever possible. We only use organic fertilizers. We don't use any chemicals or pesticides! We reduce fuel consumption by offering estimates to customers based upon their pictures. Most importantly, each plant we install and every grove we maintain is our little way of helping offset CO² emissions. Thanks for taking time to learn what drives us. We hope you come back soon!